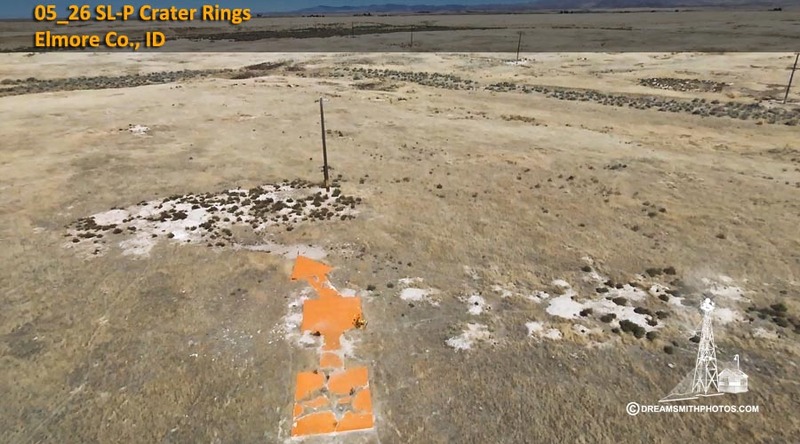 The 26 SL-P Crater Rings Arrow is located just north of I-84, west of Mountain Home, Idaho. We had to drive thru a small residential area, and at the end of a paved road we continued out into the desert on a dirt road for approximately 1 mile to reach the arrow. The arrow is complete and in fairly good condition, the shaft end is very cracked and broken with weeds growing in it. 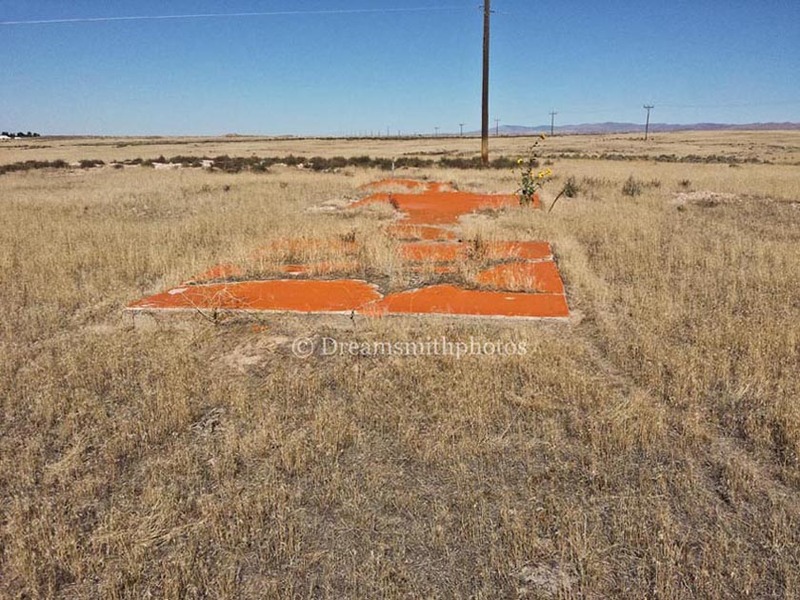 It has been painted recently in orange, which really makes it stand out in the surrounding desert. The arrow is 57 feet in length. The pilot would approach the tail of the arrow on a compass heading of 7° (N), and then exit the arrow on a compass heading of 7° (N). 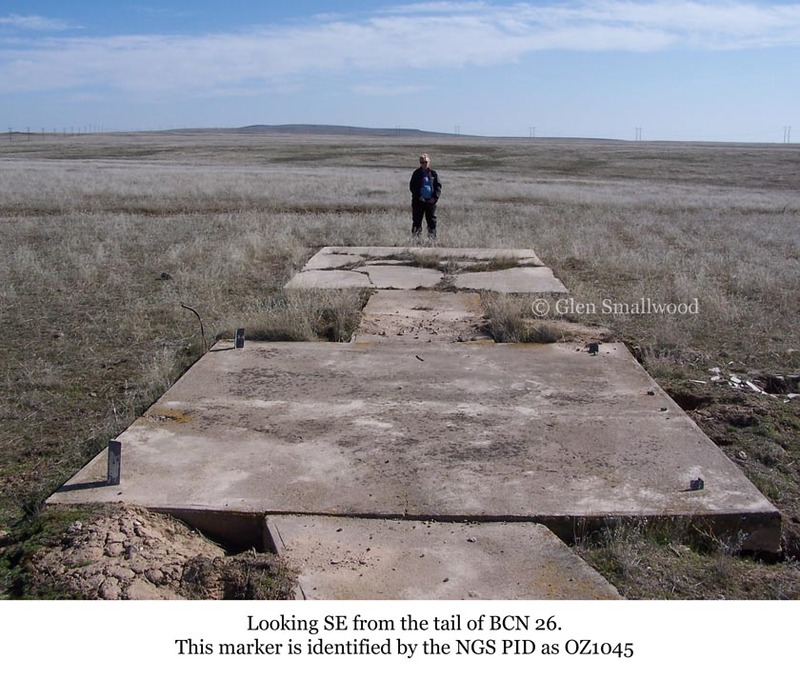 All measurements and compass headings are approximate. Select small photo to see large version. 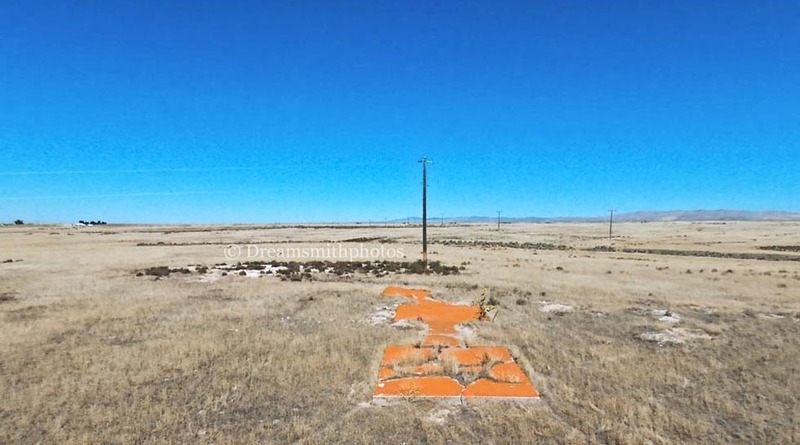 A standard airway beacon located 10 miles northwest of Mountain Home, and 1 mile northeast of U.S. Highway 30. The center of the rotating light was intersected.